Will try and join in tonight. Get your gear ready men! There are always other channels you can join if you feel like there are a lot of people in one channel. 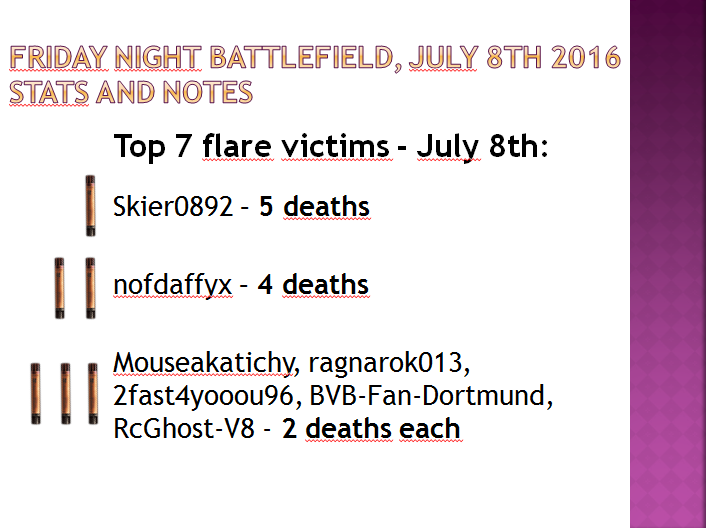 So, despite some technical issues, flare kills happened. 2.1k reached. I believe that was only for the Chaos Round. Killcam is normally on @ADefianceDuck. 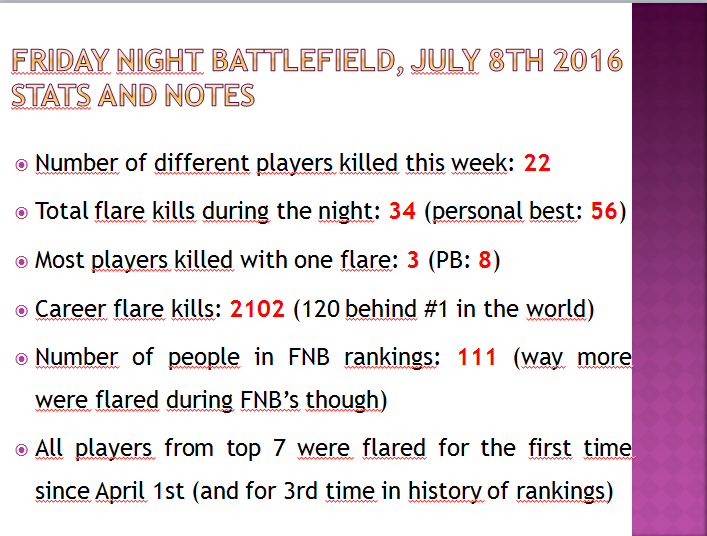 So, here are this week's FNB flare rankings, accompanied by top 7 victims of the week and some random FNB flare-related notes (All spoilered because of their size). gg's last Friday guys, I had fun as always!